We all know that heart disease is a common chronic illness is the United States. In fact, it’s the number one killer. It affects the heart’s efficiency and can lead to heart attacks, stroke, and death. While you’re probably familiar with the major risk factors, including hypertension, obesity, and lack of physical activity, new research suggests another important factor may be at play as well, and that has to do with our exposure to heavy metals—something, by the way, that Jon Barron has been telling us for the last 40 years. The study, which took place at the University of Cambridge School of Clinical Medicine in the United Kingdom, found that exposure to heavy metals including lead, arsenic, cadmium, and copper may increase the likelihood of developing cardiovascular disease or having a stroke.1 These findings are based on a meta-analysis of 37 studies that had a combined total of 348,259 subjects. Most of the research collected and analyzed by the investigators focused on one specific heavy metal. The researchers combed through the data from the various studies, which included testing the arsenic, cadmium, copper, and lead levels present in the participants based on evaluations of blood, urine, toenail, or drinking water samples, and compared it to the volunteers’ medical records. They determined that the subjects with greater exposure to any of the four heavy metals developed cardiovascular disease more often than their peers with less exposure. Those with higher levels of lead and cadmium were additionally found to have an elevated risk of stroke. The research does have some flaws, including the fact that the various investigations were all conducted differently and used a range of methods to assess exposure. What’s more, the study doesn’t control for other risk factors for cardiovascular disease such as obesity and smoking, so we don’t know to what extent other behaviors may be influencing the outcomes. With that said, the investigation does provide compelling evidence that heavy metal exposure can raise our risk of developing heart disease. And we already know that these toxins are dangerous to us in a number of ways. A 2014 study at Sapthagiri College of Engineering in Bangalore, India showed links between heavy metals and a wide range of health problems that include skin lesions, cancer, brain damage, muscle weakness, and kidney disease.4 So, to better our health on multiple fronts, lowering exposure is very important. 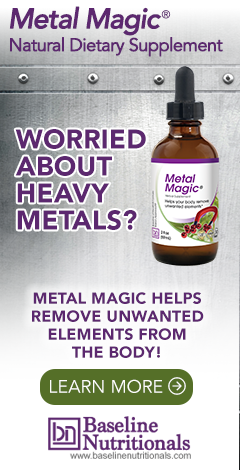 The problem is, these heavy metals are difficult to avoid. They have been found in our drinking water, food, and even the air we breathe. But there are ways we can lessen our exposure—or remove it once we’ve been exposed. Lead may be found in the pipes of houses built prior to 1986, and in the paint (which becomes problematic if there is chipping or wear and tear) in homes built before 1978. You can buy a kit to test your home for lead paint on your own or call in a company that specializes in testing for lead. Lead-based paint needs to be removed by a reputable contractor with experience in this area. Your water supplier should have contaminant information on their website. You can collect samples of your water and send them to a lab for testing and, if levels are high, get filters for not just your kitchen sink but bathroom faucets and showerheads as well. In fact, a good water filtration system can reduce your intake of arsenic, cadmium, and copper too. Also, since food can be a considerable source of heavy metals, try to limit your intake of shellfish, liver, and wine, and eat a varied diet that will limit your exposure from any one particular contaminated food. And because we are all getting some level of exposure no matter how careful we are with our choices, it is important to rid our bodies of these toxins by including a regular heavy metal cleanse in our detox regimens. 1. Chowdhury, Rajiv; et al. "Environmental toxic metal contaminants and risk of cardiovascular disease: systematic review and meta-analysis." BMJ. 29 August 2018. Accessed 2 September 2018. https://www.bmj.com/content/362/bmj.k3310. 4. Jaishankar, Monisha; et al. "Toxicity, mechanism and health effects of some heavy metals." Interdisciplinary Toxicology. 15 November 2014. Accessed 3 September 2018. https://www.ncbi.nlm.nih.gov/pmc/articles/PMC4427717/. One reason chelation is so beneficial in preventing CVD?